Remember: our blog provides all possible information for your stay in Istanbul, so don’t stop here! 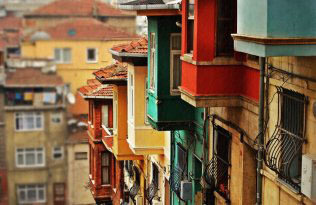 Continue to explore different sections and discover what Istanbul has in store for you! Many tourists come to the city for Christmas holidays and the New Year’s Eve. We strongly reccomend reviewing our tips in order to have a clear idea about the type of venue you’re looking for in order to avoid ending up in a location that is not suited to your taste. • If you are looking for a good restaurant, where you simply eat well within your desired price range, and you’re not interested in shows, entertainment or views, then be sure not to miss our articles dedicated specifically to restaurants. • If you are interested in the views of the Bosphorus, entertainment and shows of various kinds, you will be spoiled for choice as long as you accept that the prices are high and the quality of the dinner, of course, is not high. To be honest, New Year’s is an evening where all the locals take advantage of the influx of tourists to inflate prices but for sure there are exceptions and we have listed some of them for you. • It is important to understand that New Year’s Eve in Turkey suffers more than usual from western influences, and these influences will also make their appearance in your menu. Dishes derived from American, French and Italian cuisine are common. All the restaurants that we recommend are of a medium to high quality. We have included restaurants that in addition to dinner also provide entertainment or music. We have found that this is the most common request amongst visitors. The prices generally include unlimited alcoholic. Almost all restaurants\venues require an advance payment before booking. If you can not make bookings on your own and you need help for a reservation please contact us by mail. Know that you must prepay, to which we must add the additional costs of bank transfer or paypal and a little commission for our service. We specify that we are able to book any place, even those not listed. You can contact us at our email address or you can just leave a comment below . One of the few places that combines the quality of live music and a high standard of cuisine. One of our favorites. Great historic building located near the pier Eminönü, 360 degree panorama of the old city and the Bosphorus. The menu is designed by the famous chef Vedat Başaran. It will also feature live music. Typical meyhane, specializing in meze, small samples of fish. There will be live music, dancing and a lot of rakı. Fun guaranteed. Restaurant of ottoman cuisine, decorated in typical style. Elegant atmosphere, located in the Sultanahmet area. Gourmet menu, with live traditional music . Stylish and trendy rooftop with breathtaking views, international cuisine. This hotel has become the symbol of the historical peninsula, this year they have an extensive menu, and above all lots of fun… including belly dancing. The best choice for a night out in style. A historic Ottoman building, renovated with good taste. Great menu and shows. Charming three floored bistro on the Bosphorus. Chic club in the historic neighborhood of Ortakoy on Bosphorus. One of the best places to watch the fireworks, also suitable for those who love to dance. Spending the evening of New Year in a boat on the Bosphorus is definitely the most impressive activitiy especially for tourists who are visiting the city. This alternative is also quite common among the inhabitants of Istanbul. Rates depend on the size of the ship, the professionalism of the organizing company, the presence of facilities such as the transfer to/from hotel. Menus are generally similar, all include unlimited alcoholic drinks and a full dinner. Dinner is always accompanied by live music, belly dancing and many other shows. Based on our experience it can definitely be the original option you are looking for to spend the evening. 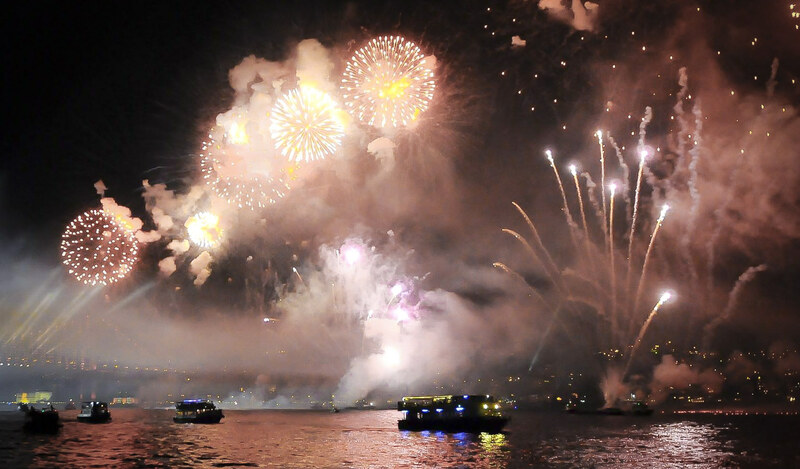 Our reccomendation for those who want to spend New Year’s Eve on a boat along the Bosphorus.